Awesome! I’ll have to check this out. 😀 Relevant to my interests. I can relate to the fact that the developers chose different genres of music in order to accentuate different moods and feelings within the game. Most of my musical tastes have to do with mood. At the same time, I feel sound is bolstered both by image, lyrics, and atmosphere. Wow, I did not know this game existed until right now. Will definitely have to look into it. I definitely share your thoughts on the soundtrack for games. Certain levels or boss fights always have specific soundtracks to accentuate the feelings of the gamer. For example, during a espionage mission, the music is almost always going to be ominous and suspenseful to make the player feel uneasy and on his/her toes at all times. This has been one of my favorite games to play. The music and how it applies to its audience I can relate to due to my own experience with this game. The upbeat and rhythmic instrumentals kept me pumped up the whole game especially during the battle sequences. The diversity of the musical genre was something that I also appreciated about this game. “Sounds” good, and like a good game. I agree, you can expect a game’s quality or story line by its music. Music gives an impression in games and serves a vital part in most entertainment. Nice blog post! Can I please have this. Right now. sounds like an interesting game. The soundtrack sounds like it would be great to listen to while playing, based off the example track you posted. May have to check it out. 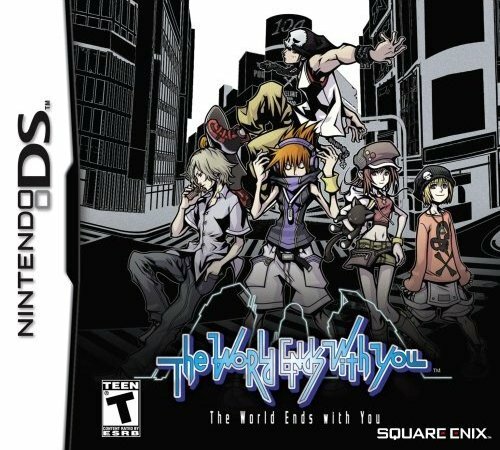 TWEWY is a great game. And Guess what! Neku, Shiki, Joshua, Beat, and Ryhme will be making an appearence in KH3D! I’m SOOOOOO excited!